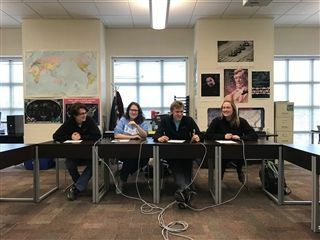 USN won the highest division of the mid-state Latin tournament. Congratulations to Anne '19, who earned the Howell-Sanford Award for Overall Achievement. 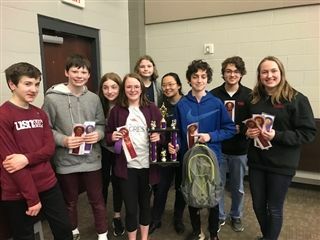 With 1,385 points, University School of Nashville won the AAA Division of the Mid-State Junior Classical League Tournament. 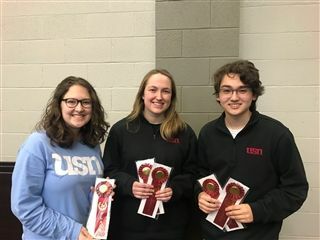 USN Latin scholars outscored runner-up Hume-Fogg Academic Magnet High School by nearly 300 points and ended the day with more than twice as many points as the third-place The Redeemer Classical Academy. Anne French '19 won the Howell-Sanford Award for Overall Achievement. This multi-talented Latin student won events in Academics, the Graphic Arts and Poetry. 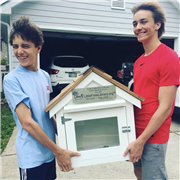 Elliott Clark '19 had the third most total points. 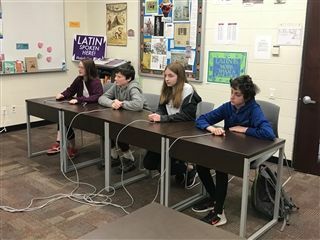 On the second day of the tournament, USN’s Intermediate Certamen (Latin Quiz Bowl) Team won its division (Greta Li '22, Wesley Smail '22, and Emma Vogeli '22). 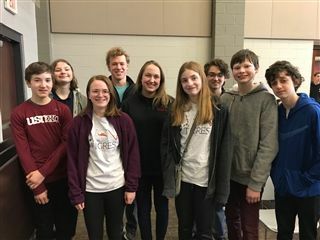 The Novice Team (Sam Barocas '23, Philip Feaster '23, Maya Giles '23, and Eleanor Shepard '23) and Advanced Team (Elliott Clark ‘19, Anne French '19, Neha Saggi '21, Joel Tyson '19, and Natalie Wright '21) both made it to the finals and placed second in their divisions. 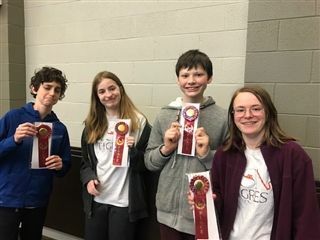 After the Certamen, Anne French '19 and Eleanor Shepard '23 were awarded first place in Poetry for their grades. 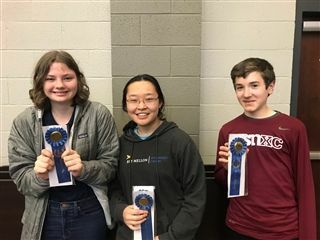 Sarah Page-McCaw ‘24 and Zoe Bressman '22 placed second for in their grades. 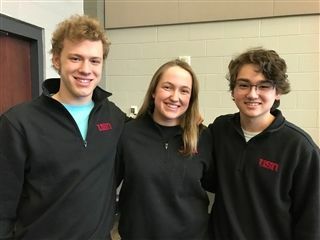 Elliott Clark '19 and Esha Karam '21 earned the highest score of any level in Latin Literature and Derivatives, respectively. 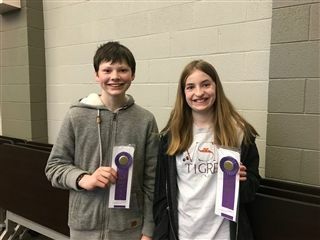 Sam Barocas '23 and Maya Giles '23 tied for the highest score at any level of the Latin Grammar ½ 1 exam. USN’s complete results are listed below.